Termite Barriers are a must when it comes to renovating the home or extending, whether it be Brisbane or the Gold Coast the Standards all Apply for QLD. . Most Builders are aware Termites are damaging homes within the Gold Brisbane and the Coast Region as they carry out repairs every day, however fully understanding the best method to protect a home from Termites is best done by engaging a Licensed Termite Management Technician. 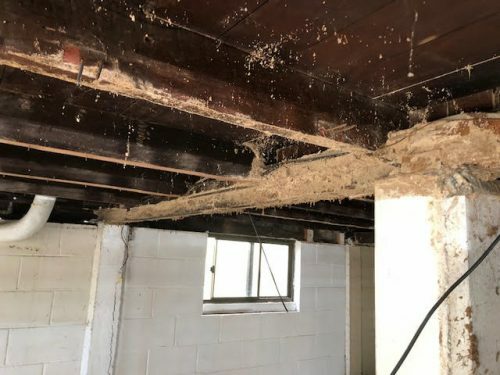 The Old Queenslander home Built in areas like Southport, Labrador, Mermaid Beach and Tugun on the Coast just to name a few are the number one termite issue when homeowners decide to build underneath the property to gain extra bedrooms and forget to engage an expert. Brisbane homes are renovating daily and building additional rooms beneath the house. Termite Barrier installations in Queensland must be installed by a licensed operator, who is accredited to install the Termite Barrier products/systems and supply a certificate of Installation and a form 16. Need onsite expert advice or a quote send us the plans – call us today 1300 552234. Call before you pour or erect any structures or frame work, before it is too late.